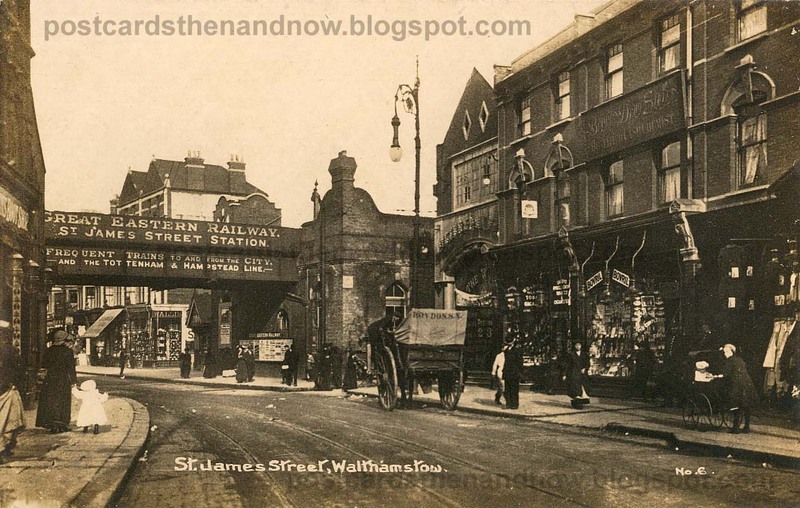 Walthamstow, St James Street, North East London, c1912. The modern Street View is surprisingly similar. This one is particularly interesting, because there are so many little changes. You could sit down and make a long list of them. I like the old street lamps, though I'm sure they don't illuminate as effectively as the ugly modern ones.